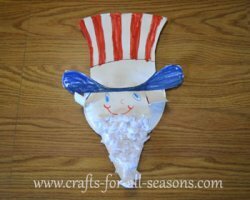 Paper plate crafts are fun, easy and inexpensive crafts to do with kids. 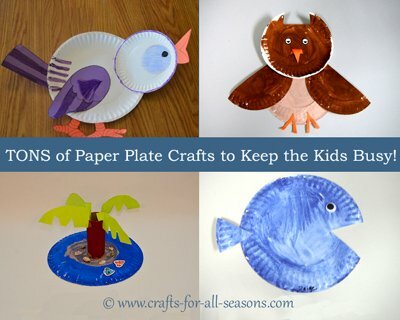 With a little imagination, you can turn a paper plate into an owl, a boat, a mask... there are many possibilities! 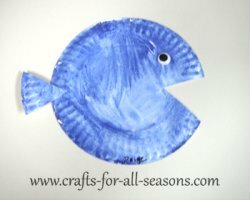 You can buy the thin cheap plates in bulk, making the crafts very inexpensive, and perfect to do with many children. Even though the plates are thin, they are still as thick as a heavy piece of cardstock, making it the perfect piece to make crafts from. Usually you just need a pair of scissors, glue, and some markers or paints, and you’ll be well on your way to creating an endless amount of projects. 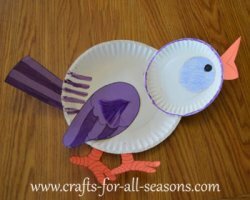 Cutting the paper plate into different shapes can give you many ways to glue them together, to create an animal or other shape. For instance, you can cut a paper plate in half with give you a half moon shape, and cutting it again will give you a pizza slice shapes. Cutting parts out of the plates can also give you interesting looks. 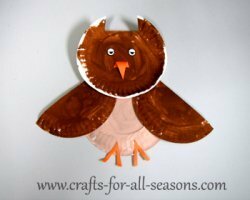 Take a look at the paper plate owl below as an example. 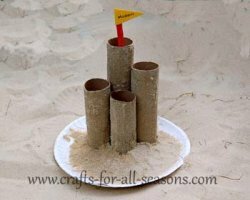 Paper plates also can serve as the bases for other crafts (as in the sand castle craft below) or serve as the top of a mobile.The paper plate can also serve as a base for artwork.Just paint a work of art on the paper plate, punch a hole near the top to hang it, and viola! Your child’s artwork is ready to display, no need for a frame. 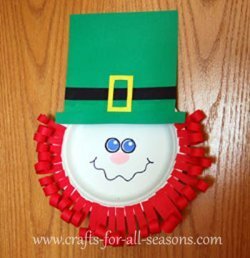 You can also work with the edges of the paper plate.The edges are usually wavy and scalloped, so this can be worked into the design as well. Notice how the waves of the plate look like fins on the paper plate fish? My kids have come home with some really fun creations from their daycare through the years. I am so happy to share their creations with you here! 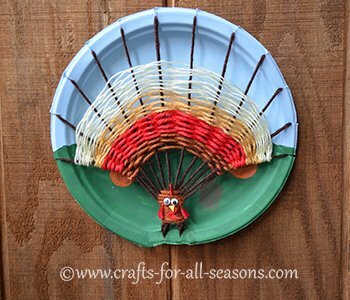 All of these paper plate crafts were decorated by my kids. 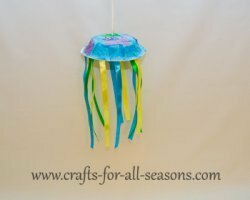 Most of these photos don't link up to step by step instructions, because in most cases you can get the idea of how to make these crafts from the photo itself. If directions are included, you will see a blue border around the image which shows you that the photo is a clickable link. Just click on the photo to take you to the project page. 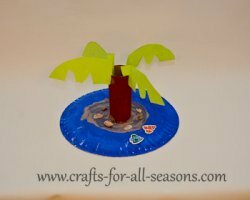 Click Here to Submit a Paper Plate Craft of Your Own!